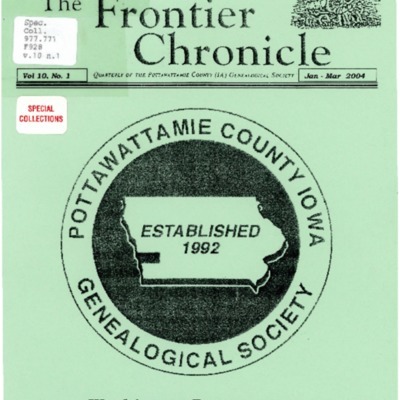 Newsletter of the Pottawattamie County (Iowa) Genealogical Society. 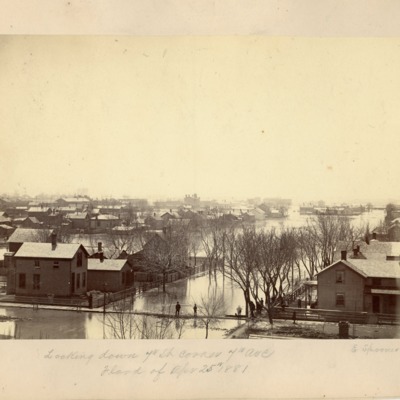 Photograph of Council Bluffs (Iowa) taken after the flood of 1881. 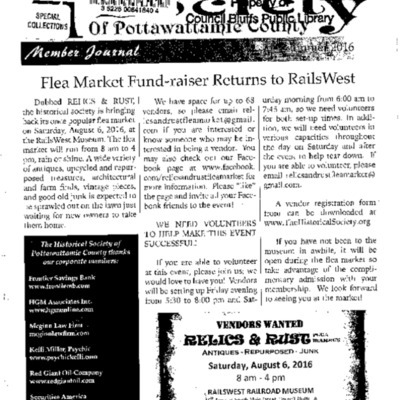 Printed on bottom of image: "Looking down 7th St. Corner 7th Ave. 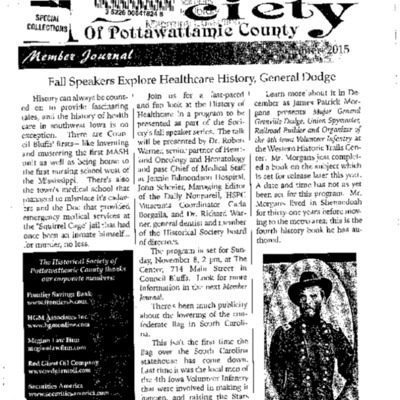 Flood of Apr 25th 1881. 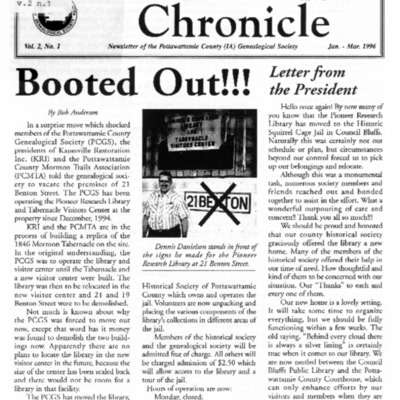 E Spooner Residence." 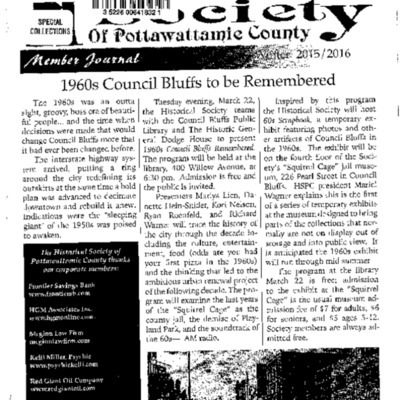 Winter 2015-16 Historical Society newsletter. 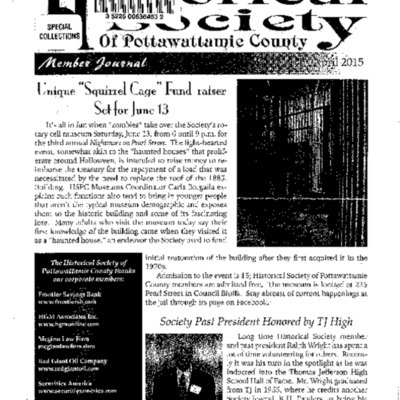 Summer 2015 Historical Society newsletter. 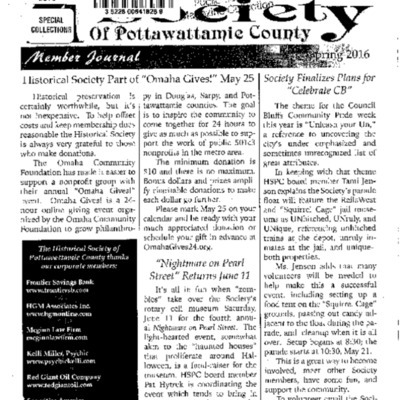 Spring 2016 Historical Society newsletter. 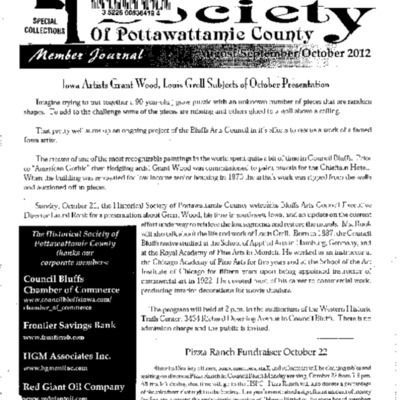 August-October 2012 Historical Society newsletter. 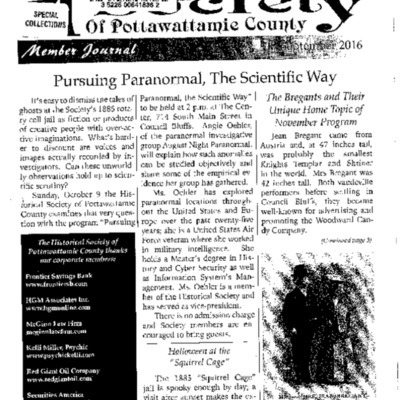 September 2016 Historical Society newsletter. 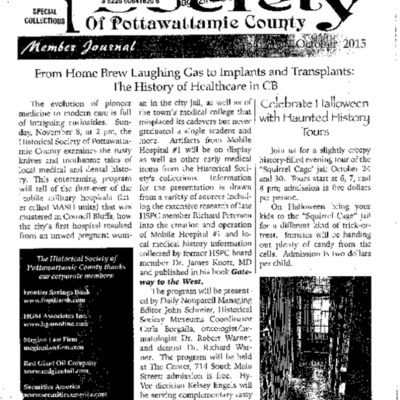 September/October 2015 Historical Society newsletter. 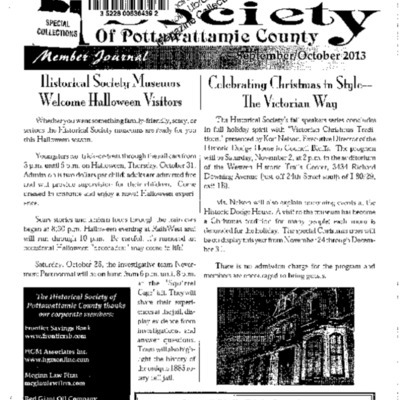 September/October 2013 Historical Society newsletter. 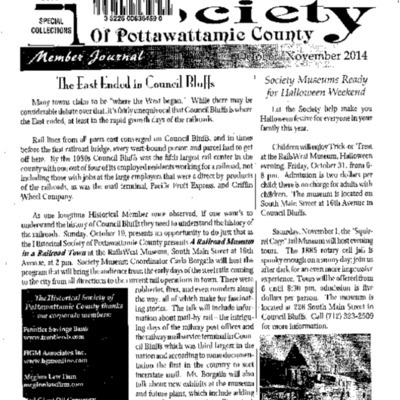 October/November 2014 Historical Society newsletter. 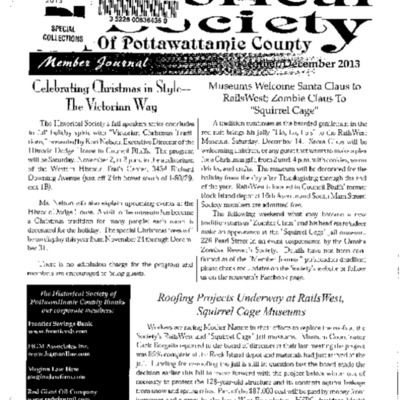 November/December 2013 Historical Society newsletter. 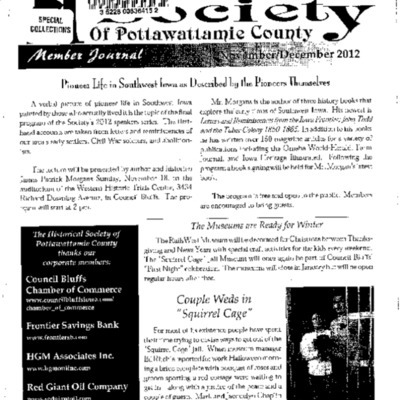 November/December 2012 Historical Society newsletter. 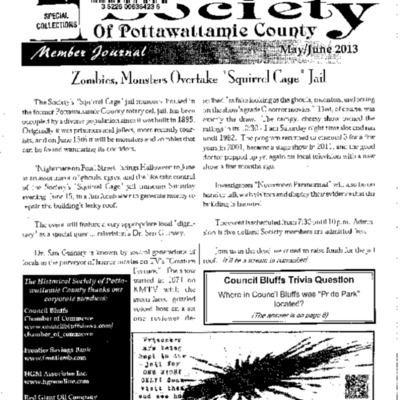 May/June 2013 Historical Society newsletter. 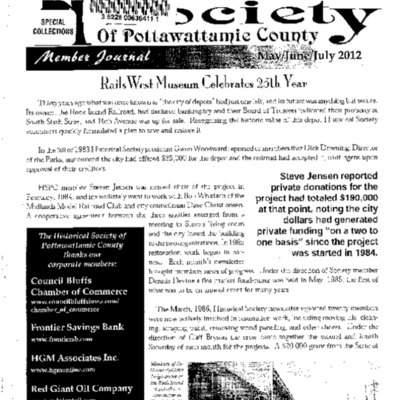 May-July 2012 Historical Society newsletter. 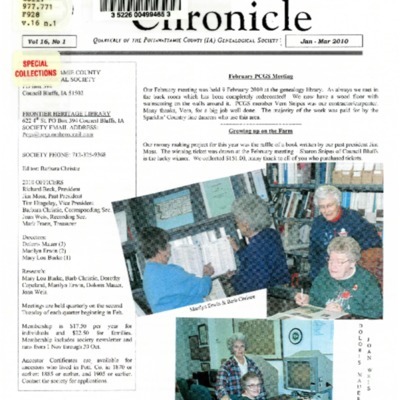 March 2015 Historical Society newsletter. 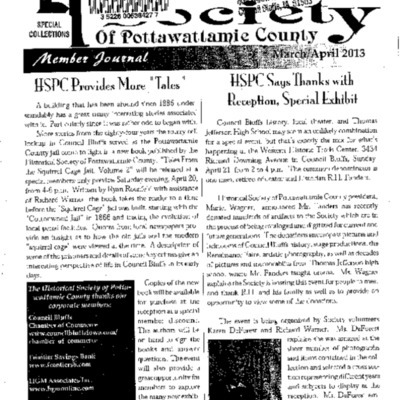 March 2013 Historical Society newsletter. 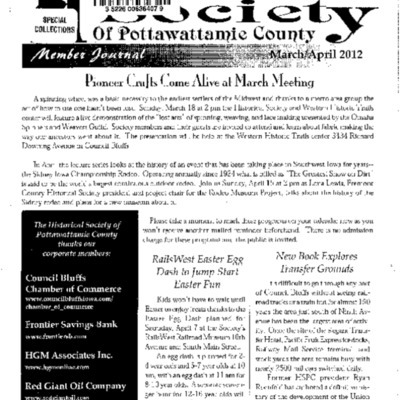 March/April 2012 Historical Society newsletter.